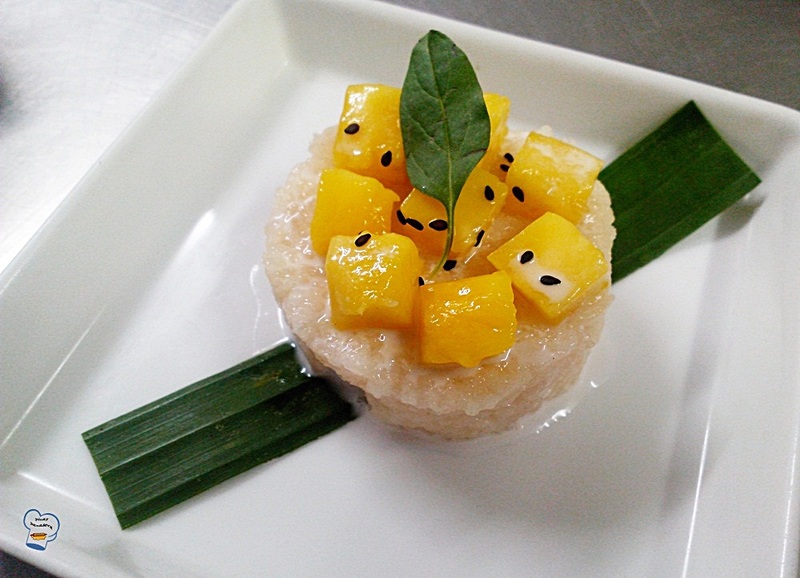 Another addition to the dessert menu is this classic Thai mango sticky rice. I have eaten it countless times but I had never cooked it until today. The executive chef asked me to cook the pudding and arrange it on a dessert plate. I used banana leaf as the base. I molded the sticky rice in a mousse ring and laid it on the banana leaf. 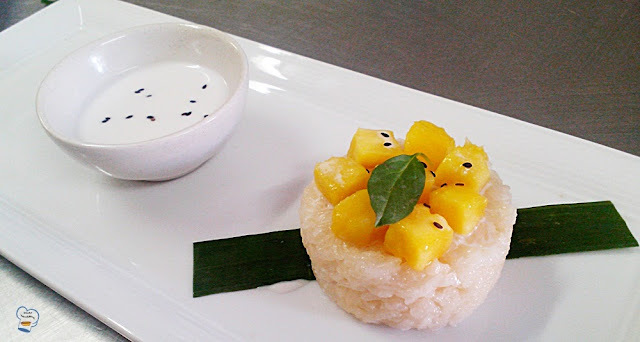 I put diced mango on top, poured coconut sauce on them and sprinkled roasted black sesame seeds. To garnish, a fresh mint leaf or Thai orchid can be used. The chef was in a hurry and neither of us wanted to sprint into the kitchen to get mint leaf. (The bakery is in a separate building, on the other side of the resort) . He needed to show it to the big boss immediately so just for the photo taking purpose, he used basil leaf instead. :) I had no idea where he got it though.